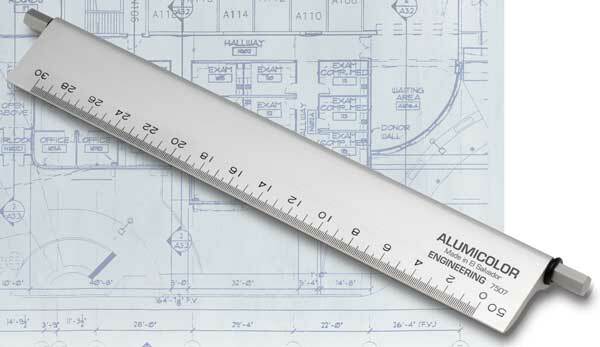 Alumicolor® Select-a-Scale are an ultra convenient and functional drafting tool that allows architects and engineers to select multiple scales all in one product. The unique design incorporates a sculptured arch on the bottom for ease of movement. A rotating rod on the top displays one of six available scales while the solid aluminum base has fixed scales on the front as well as a raised inking edge. 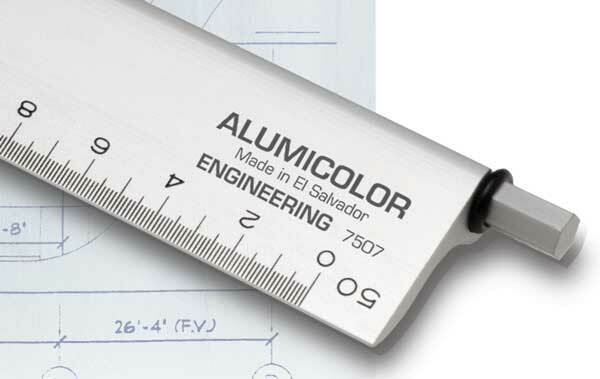 Made from extruded aluminum with calibrations added using the Alumicolor® photo anodizing process. Available in 7 different colors!